This entry was posted in History and tagged American Association for State and Local History, History Relevance Campaign, LinkedIn, Mount Vernon, Virginia Association of Museums on February 24, 2015 by Max van Balgooy. Are Historic House Museums Adapting for the Future? In March, the Historic House Museum Consortium of Washington, DC will be examining how historic house museums are adapting to the future at its annual Historic House Museum Symposium. 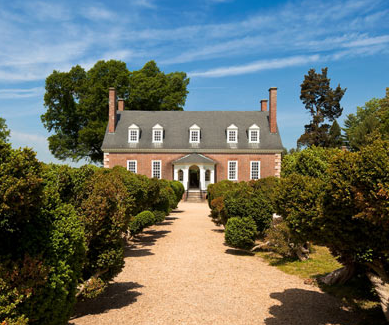 Presented alongside the 2014 Virginia Association of Museums conference, the symposium will feature three speakers, a boxed lunch, and a special tour of Gunston Hall on Saturday, March 15, 2014 from 9 am to 3 pm at George Mason’s Gunston Hall in Lorton, Virginia. Registration is limited and is $15 per person. This entry was posted in Community engagement, Strategy, Training and tagged Gunston Hall, Historic House Museum Consortium of Washington, Jana Shafagoj, Ken Turino, Virginia Association of Museums on January 21, 2014 by Max van Balgooy. 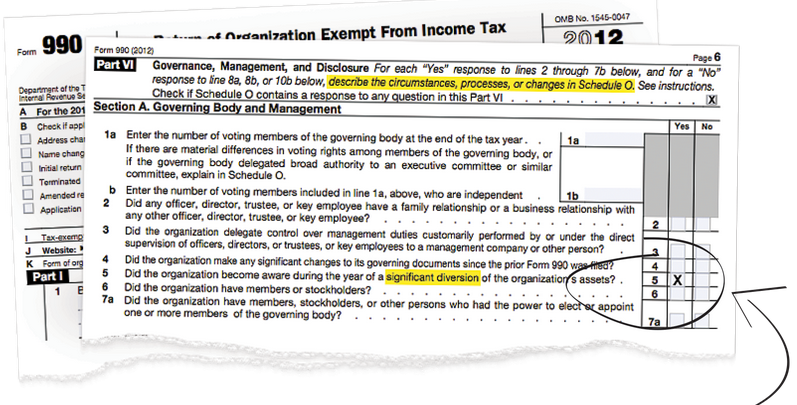 During the last couple months the Washington Post has been running a series of articles on financial fraud at non-profit organizations using the annual Form 990 report. According to their research, more than a thousand organizations have disclosed “a significant diversion” of assets (such as embezzlement) since 2008. “Significant” means it exceeds $250,000 or five percent of the organization’s assets or receipts, so minor occurrences of fraud are not revealed. Charitable organizations (such as museums and historic sites) were by far the most common victims, representing about 65 percent of the total. Educational institutions were the second most common victims, but fell far behind at about 15 percent. This entry was posted in Governance and management and tagged American Lighthouse Foundation, Cherokee Historical Association, Clinton County Historical Association, Embezzlement, Friends of the Railroad Museum, Historic Savannah Foundation, Mark Twain House, Monterey History and Art Association, Peoria Historical Society, Philadelphia Museum of Art Women's Committee, Prairie Aviation Museum, Studio Museum in Harlem, Texas Highway Patrol Museum, Tippecanoe County Historical Association Foundation, Virginia Association of Museums, Winterthur Museum on December 17, 2013 by Max van Balgooy. Last week the Virginia Association of Museums (VAM) held its annual conference at the Homestead Resort in Hot Springs, Virginia, and I was fortunate to be asked to speak at their historic house forum. It was my first time at their conference and I was so impressed by the quality of the sessions and the camaraderie of the participants. I wasn’t able to stop by every session, but I wanted to provide some highlights from a few I did attend. The Nexus of Art and Science. Rebecca Kamen, professor of art at Northern Virginia Community College, talked about the ability of art to interpret historic scientific and medical collections found in museums and libraries. Rachel Carson’s The Sense of Wonder (1965) prompted her to work with such diverse institutions as the American Philosophical Society, Chemistry Museum, and the National Institutes of Health. A recent work, “Divining Nature: An Elemental Garden,” explores the orbital rotations of elements in the periodic table through sculptures. I’ve seen lots of examples of science being explained in new ways, but I’ve only encountered a few glimpses of it being done with history–anyone have any suggestions? This entry was posted in Community engagement, Fundraising, Historical interpretation, Museum, Social media, Technology and tagged Ford Bell, Lynn Rainville, Margo Carlock, Rebecca Kamen, Susan Hildreth, Virginia Association of Museums on March 21, 2013 by Max van Balgooy.